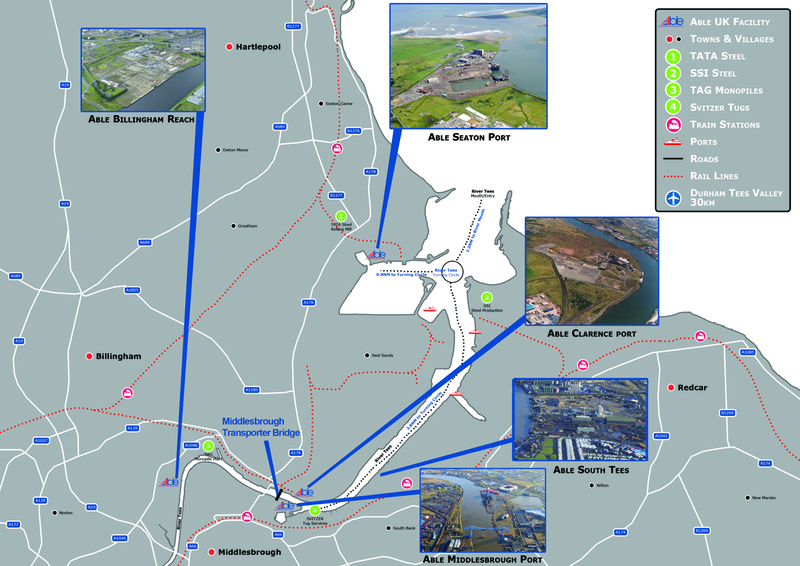 Billingham Reach (BRIE) is a thriving industrial estate with 560m of quay created on the site of the former North Tees Coal Power Station and is zoned for B2 and B8 uses. 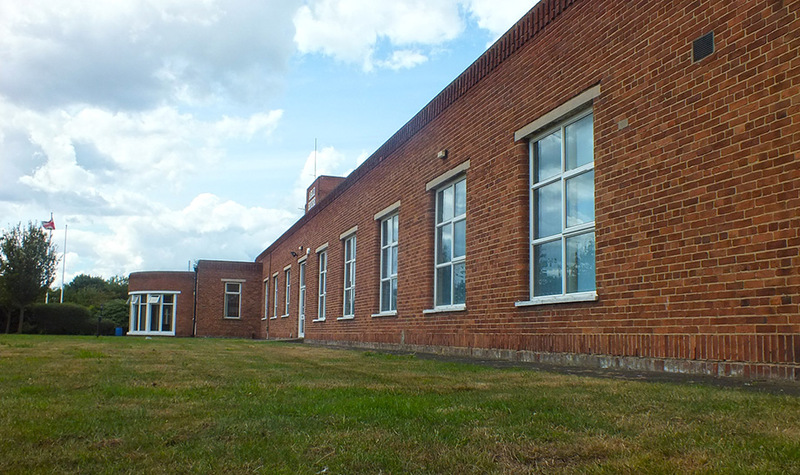 It was acquired in 1985 and offers flexible plots of industrial land on temporary and long term leases. Serviced office space within Able house with private car parking can also be provided, located on the banks of the River Tees within landscaped gardens providing the perfect setting for tranquil office accommodation. BRIE benefits from a shared estates road with a number of self-contained sites. It has excellent road access and is close to both the A19 and A66 and at the heart of Teesside. 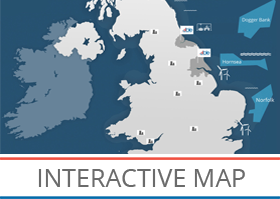 It is located approximately 1 mile from the A19 Portrack Lane interchange at Stockton on Tees, on the North Bank of the River Tees. 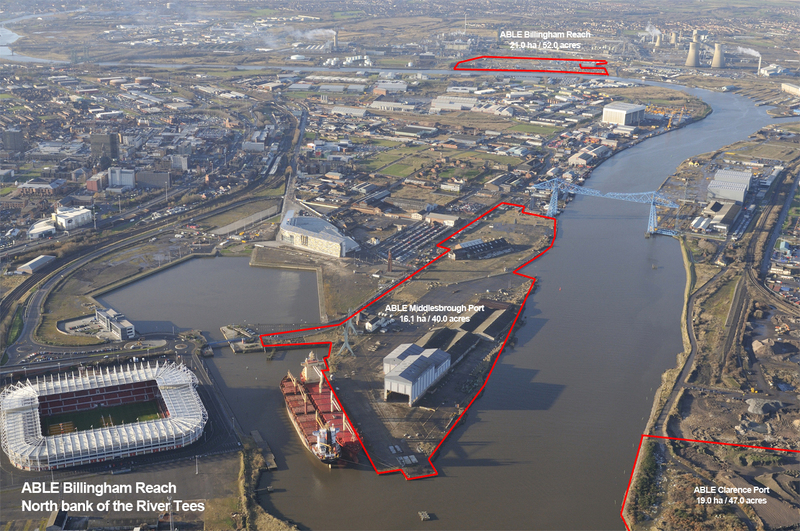 The site has been the location for a number of industrial projects and with its useful 560m deep water quays provides an ideal location for activities that are reliant on river access and transportation. The sites ground conditions allow for heavy load bearing exercises to be undertaken and individual plots can be altered to meet customer’s requirements (including the construction of buildings). 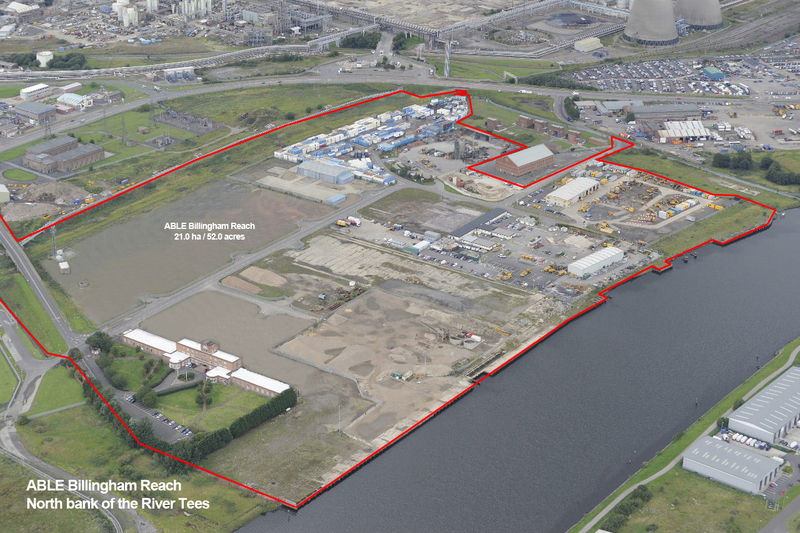 Current tenants at Billingham Reach site include GAIA Power – Tees Valley, Hewden Stuart, Cemex, Elliotts, Cape DBI Industrial Services, Autolink Concessionaires (A19) and Cleveland Concrete.